New Orleans’s tumultuous relationship with Mother Nature has certainly shaped Hunter’s feelings about her city—but it also set her on a path of discovery that changed her life. There’s a moment in Station 15 when urban designer Aron Chang shows Hunter how the city’s pumping system should work: drains take rainwater to pipes, which flow to larger pipes, which flow to pumping stations that usher the water out. It’s a logical concept, but the main principle of its success is so simple it may be overlooked: control. Hunter learns in another interview, with geographer and Tulane University professor Richard Campanella, that large parts of New Orleans were once swampland—think Lakeview, Mid-City, and Gentilly—with soil too saturated to support urban development. Previous generations pumped the water out to allow these neighborhoods to exist, but in doing so, they went too far. Even when it does effectively drain the city, the current system actually removes too much water from the soil, causing New Orleans to sink lower each year. Chasity Hunter speaks with Sewerage and Water Board station manager James Taylor. Image courtesy of Kira Akerman. Floodwalls protect the sinking city from the water. Levees and barriers keep the Mississippi River on a certain course. In the city’s attempts to control the surrounding environment for its own comfort, Hunter sees parallels. “The floodwalls put up to keep water out of the city remind me of societal barriers that keep people who look like me voiceless,” she says. To understand why, let’s go back to the beginning. Akerman chose Hunter as the star of Station 15 after interviewing a group of interns with Big Class, a nonprofit organization now known as 826 New Orleans that fosters youth writing skills. Of the several interns she spoke with, Hunter stuck out. Pumping station 15 of New Orleans's drainage system is positioned on a floodwall in New Orleans East. Image courtesy of Kira Akerman. Drawing on that spirit, Akerman began asking Hunter about her personal experiences with water, experiences revealed early on in Station 15. In her conversation with Chang, Hunter asks why Mid-City, where she lived for years, flooded so much when rains drenched the city last August. It was not the first time Hunter’s world had been threatened by floodwaters. She was six years old during Hurricane Katrina, and remembers the rising water “taking the steps” that led to her front door, one by one. Her family had to climb to the roofs of the Calliope projects to be rescued by helicopter. Although she was very young then, Hunter immediately recognized the similarities between the floods of August 2017 and those of 2005. Aron Chang explains soil subsidence to Hunter early in Station 15. ​Image courtesy of Kira Akerman. 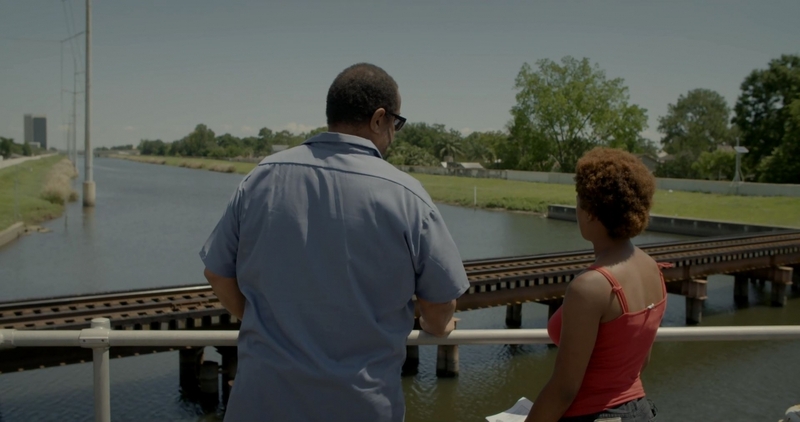 Akerman gave Hunter reading material like Campanella’s Bienville’s Dilemma and the Greater New Orleans Urban Water Plan, to which Chang contributed, and brought her to floodwalls and pumping stations to learn from “the physical experience of being there.” For Akerman, Station 15 was meant to document this process of discovery learning, and though the film only lasts around 15 minutes, Akerman elegantly traces an arc from Hunter's investigation of the drainage system to her realization of her own voice. She foresees a future where water takes back control, but with her newfound knowledge, Hunter is not willing to be complacent. She speaks at screenings of the film alongside Chang and Akerman and works with Ripple Effect, a nonprofit that advocates water literacy and develops curriculums for school children. “Before making the film,” Hunter says, “I let other people make decisions for me.” Now she feels empowered to educate herself and speak up, all while defending herself against those who might question why a woman of her age and race is even discussing these issues. Hunter speaks with Kalamu Ya Salaam about youth activism. ​Image courtesy of Chasity Hunter. That’s not stopping her. 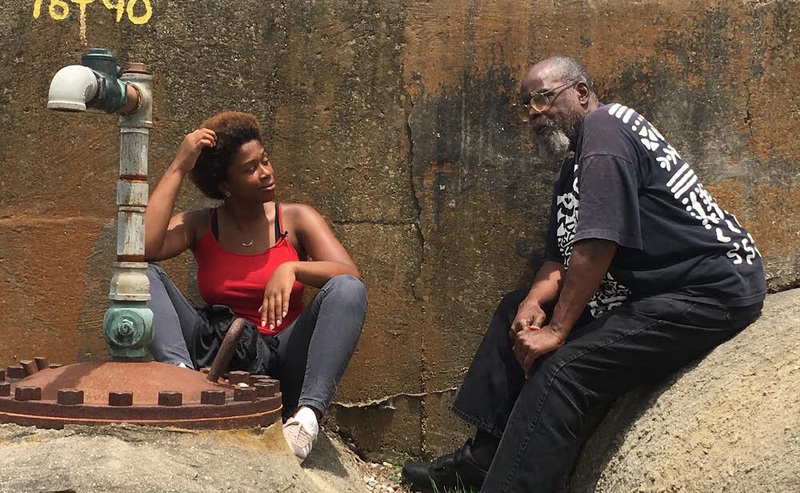 She points to a scene toward the end of the film, where she speaks with poet and civil rights activist Kalamu Ya Salaam, who reminds her that she can use her voice, much like he has. Though she speaks at screenings in libraries and other community centers, Hunter most often speaks to people her own age, urging them to talk to the experts, build and advocate for green infrastructure, and stay informed. She believes more grassroots change in how we live with water will effect greater results than trying to simply control it. Hunter really is unsure of her future in New Orleans, and it would be tempting to draw a line from her concern about New Orleans’s drainage system to her desire to relocate to the Northeast. For a first-year college student, though, the path ahead is rarely that straightforward. What Hunter has learned from her experience in Station 15 though, is that she has a say in what comes next. 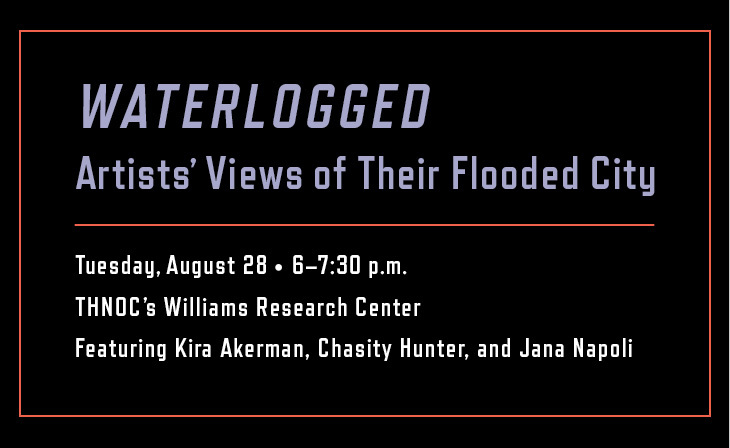 Chasity Hunter joined filmmaker Kira Akerman and artist Jana Napoli to participate in “Waterlogged: Artists’ Views of Their Flooded City” Tuesday, August 28, 2018. 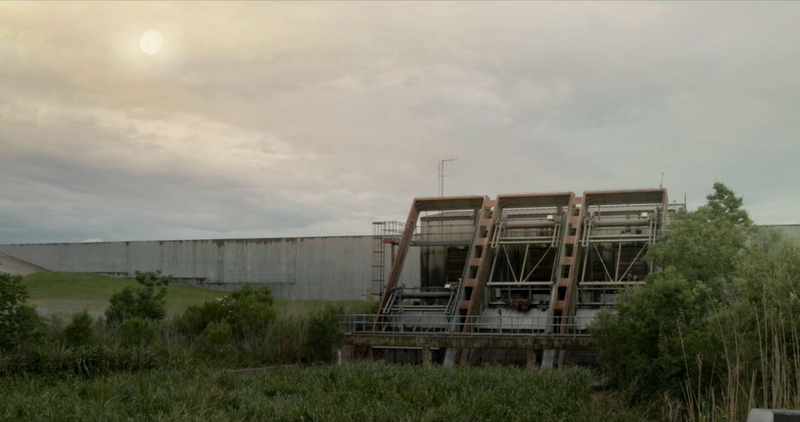 The program featured a screening of Station 15 alongside two films based on Napoli's Floodwall, a sculpture that she created from drawers strewn by post-Katrina floodwaters. After the films, Hunter, Akerman, and Napoli participated in an audience-driven dialogue on New Orleans's relationship with water. “Waterlogged” was a program of Art of the City: Postmodern to Post-Katrina, presented by The Helis Foundation.